A high-quality, 920 MHz band compact wireless telecommunication module. 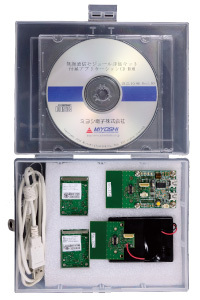 We have an evaluation kit you can use to confirm its operation with a computer. Please inquire for details.